Plans for the spring include getting more hens. This time we will house them at the end of the cow stall, in an area of the garden which has for some time been fairly derelict. It is closer to the house so might reduce the rate of fox-related fatalities. It is also the part of the garden that is most difficult to fence and from which we are convinced Fudge makes her escape, so the idea of fencing it properly and using it constructively seems a laudable one. But as with any capital project there are the usual rituals to follow. First we check that it is do-able, which is achieved with some independent advice from Jim. We get chatting as he is around doing some treatment on the tennis court. Next we need to get the Old Man to agree with the idea. Which means we need to get him to think that it is his idea. 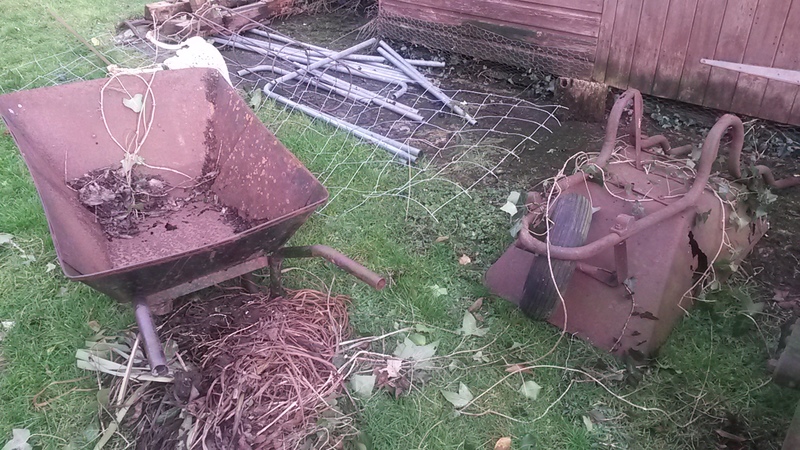 I vague word about hens, locations and fencing, a week’s break, and hey presto, he comes back talking a great project. He demands our presence by the walnut tree and tells us what we should to. He even offers to pay Jim to put the fencing up. Result. 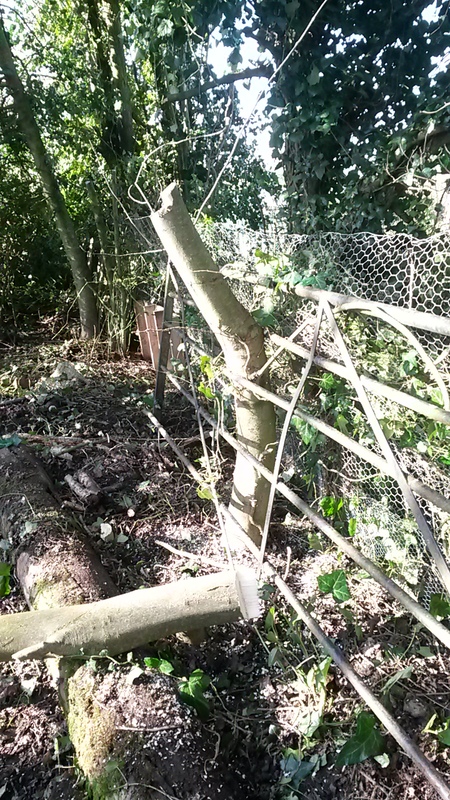 So the first weekend of half term I had a site meeting with Jim and agreed that I would clear the undergrowth and then get the fence posts and netting to get the job done. He chuckled at how much I was going to have to clear, which is always worrying. I value Jim’s opinion and work ethic and if he is thinking something will require large amounts of hard labour, I wonder if I am being naïve. As it turns out it does not take long to clear the detritus from the area. But there is the small issue of the ash tree which has grown up through an old gate. The Old Man actually suggested I use the chain saw (I had forgotten we had one) and offers me a lesson on how to operate it. Normally the idea of a lesson in anything from TOM would have me running a mile, but I have to concur with his view that “you don’t have minor accidents with chain saws”. So the stark choice between a long-winded exposition on chainsaw safety from the Old Man, or no lesson followed swiftly by an amputation-inducing accident is a tricky one to weigh up. But after due consideration I go for the safety option. To my surprise the lesson is short and sweet and I make short sweet work of a juvenile elder that needed felling. But the ash tree remained – as did The Old Man. “You’ll need a rope for that as it will hit the walnut tree or else land on the cow stall” was the wise man’s words. I nodded sagely and grunted to concur. Some things are not worth arguing – despite the fact the tree was clearly leaning away from the cow stall and was equally clearly not tall enough to reach the walnut. Fortunately that day he was out to lunch (no – literally out to lunch) so as soon as he had gone I carefully revved up the chainsaw and started on the ash tree. Of course I was running a risk here. I was sawing a tree that apparently had the capacity to bring down airliners if attacked at the wrong angle, and if I did suffer a serious accident there would be no one on hand to say “I told you so” as they drove me to hospital. But I forged ahead in swashbuckling style. I sawed a wedge in the trunk to encourage it to fall away from buildings then attacked it from the back. 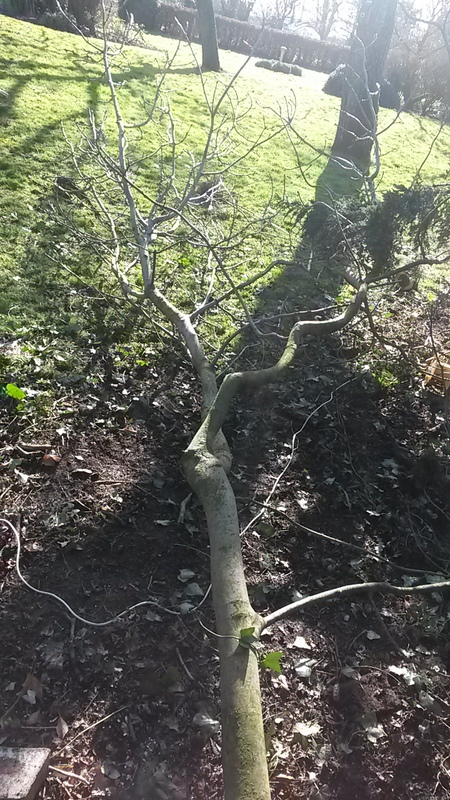 The tree duly fell – away from the cow stall and short of the walnut tree – and just as I stood back to admire my technical acuity, the base of the trunk slipped and landed squarely on my foot. It happened almost in slow motion. The pain was intense, but at least it was not witnessed by anyone with more experience and advice to give. My foot was fine – but the next near accident could have been worse. I needed to release the metal gate through which, over the years, the tree had grown and expanded until it was wedged tightly between the bars. A simple slice with the chainsaw ought to suffice to take off the top of the elongated stump. What I had not realised was the tension in the trunk. 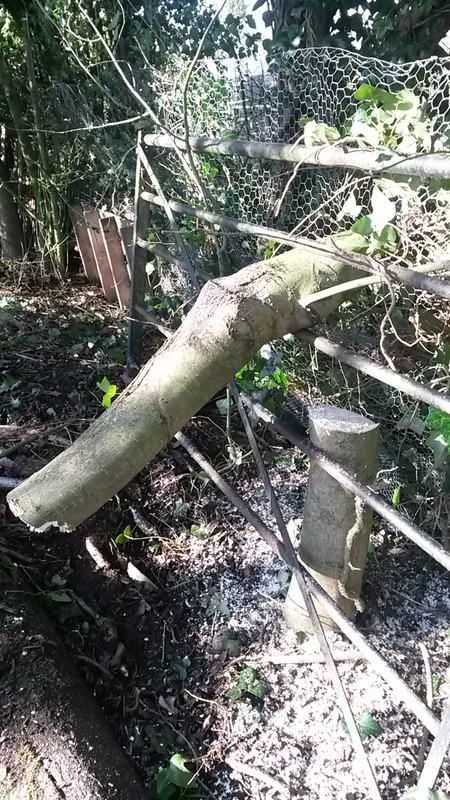 As the saw liberated the gate, the trunk was catapulted down like a hammer by the force of the bars on the gate. Fortunately I had maintained good posture (unusual for me) and was not hunched over the chainsaw at the time – otherwise it could have been lights out or at the very least we would be talking “concussion protocols” before I am allowed back to work. So it all went swimmingly. 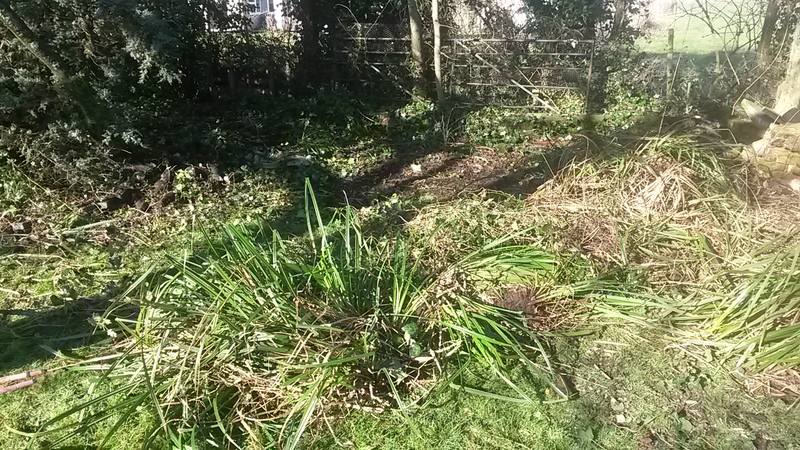 I have not told TOM that I have cleared the Ash Tree – he will have to take note himself. I now need to get down to Mole Valley Farmers to get the fencing. Then it’ll be more Easter hens. This entry was posted in Gardening Times and tagged Ash tree, chainsaw, Chicken, Chicken wire. Bookmark the permalink.